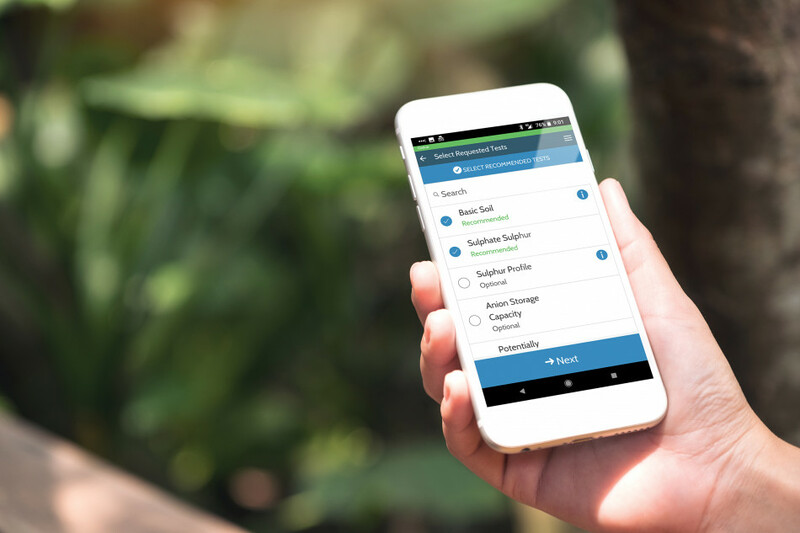 Last year we announced our new mobile sample app for submission of soil and plant samples, and we have now made this available to a large number of our regular submitters. Since then, we have also developed our digital integration capability and customers can now send expressions of interest to use our new, time-saving API. The API (Application Programming Interface) allows seamless flow of data from a mobile app (or other electronic medium) submission through to export of test results directly into your database. The benefits of these tools are specifically around time-saving, with no more manual writing up of analysis request forms or plugging result data into an information platform one by one. The removal of any manual entry means that data transcription errors become a thing of the past. The use of barcodes and scanning at all points in the laboratory also means that the potential for sample-handling errors is almost eliminated. The agricultural sample submission app has the added benefit of GPS capture at sampling – so geolocation and corresponding result data can be simultaneously exported into platforms for mapping purposes. Currently we have two of our valued customers using electronic means to manage their large volumes of soil test data. Samples submitted via mobile app by the team of nutrient specialists at Ballance Agri-Nutrients are reported into their MyBallance platform, and are available to view by their clients very quickly. Similarly, PGG Wrightson’s team of technical field reps will be able to see their client results in their MuddyBoots GLGM platform in the very near future, enabling prompt farm management decisions. Data security is of paramount importance, and we have made sure this is in the forefront of our processes. If data integration will suit your business, and you have access to system developers, then please contact one of our Client Services Managers to get your onboarding ticket and start the train rolling.